Tricycle Music Fest at the Millbrae Library. It's the time of year again when the best kindie rockers come out to support local libraries and promote early childhood learning. 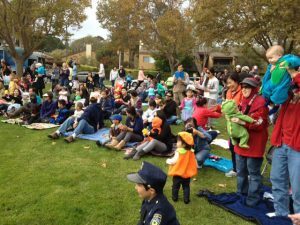 The annual Tricycle Music Fest is a month-long event presented jointly by the San Francisco Public Libraryopens a new window and San Mateo County Libraries. 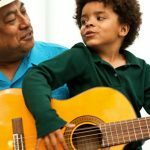 Together we bring the best kindie rock to Bay Area families. Don't miss this award-winning line-up, including the Alphabet Rockersopens a new window, Lucky Diaz and the Family Jam Bandopens a new window, José-Luis Orozcoopens a new window, and Andrew & Pollyopens a new window. Each event will feature a concert and family engagement activities. And because playing is just as important as singing in early childhood learning, we will be raffling off one tricycle and one scooter at each event. Skip the nap, grab your dancing shoes, and get to these unforgettable shows in October! by Young Audiences of Northern California. 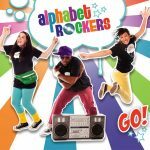 Check out Alphabet Rockers titles in our collection. Winners of the 2013 Latin Grammy for children’s music, Lucky Diaz and the Family Jam Band enliven the library with their whimsical, multicultural, and bilingual tunes. Get ready for a hip-shaking, head bopping dance party of fresh indie pop rock beats! Check out Lucky Diaz and the Family Jam Band titles in our collection or on Freegalopens a new window. and perhaps learn a few new words in Spanish! Check out José-Luis Orozco titles in our collection. 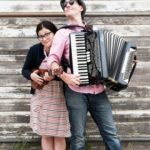 inventive re-imaginings of classic favorite songs to our libraries! 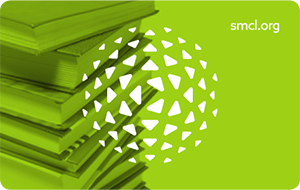 Check out Andrew & Polly titles in our collection.